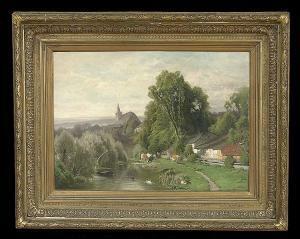 Find artworks, auction results, sale prices and pictures of Jacob Janssen at auctions worldwide. catalogue note jacob janssen was born in einlage, prussia. 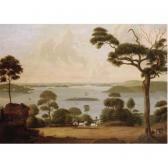 he moved to philadelphia in 1807 and studied drawing under signor pieso ancora. travelling extensively he spent twelve years in brazil and also visited north america, india, zanzibar and the phillipenes. he eventually settled in sydney, australia, where he died in 1856.
janssen was born in einlage, prussia (now poland) in 1779 and moved to philadelphia in 1807 where he studied drawing under signor pieso ancora. 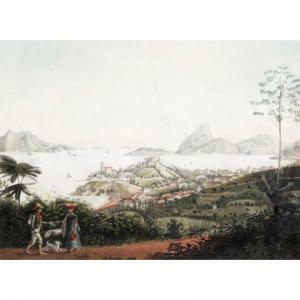 between 1807 and 1831 janssen travelled extensively throughout north america and also spent twelve years in brazil. he left america in 1831 bound for india, where he settled in calcutta. 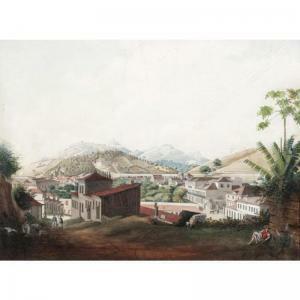 he left india in 1837 to visit the middle east and would have called at the port of zanzibar on this voyage. in 1840 he was in philippines en route for australia, where he finally arrived on 5th december 1840. he settled in sydney and remained in australia until his death in 1856. zanzibar's history is shaped by its position in the middle of the indian ocean trade routes. it was a portuguese colony until 1698 when omani arabs ousted the portuguese from e africa, including zanzibar. it was during the reign of sayyid said (1804-56) that zanzibar became the main centre of the east african ivory and slave trade. in a treaty with great britain in 1873, the sultan agreed to halt the slave trade and in 1890 zanzibar became a british protectorate. it is currently part of tanzania. "Country Path", oil on canvas, signed, 20" x 28". Framed.